Serving on a volunteer board of directors can be a study in frustration or one of the great pleasures of your life. If you and the organization are not well matched, you may be bored at best and appalled at worst. But when both volunteer board member and charity are well matched, serving on a board can be personally and professionally rewarding. Although there is much to look for in an organization when you're approached for a board position, it's equally vital to cross-examine yourself before you open up to serving on a board. Do you enjoy getting into the nitty-gritty of policy? Board members oversee a nonprofit, advising on finances, human resources policies, hiring the executive director, evaluating the director, fundraising, insurance matters, and strategic planning. If you'd rather be hands-on helping the people the nonprofit serves, you might be happier volunteering where you can interact directly with the people served. Do you enjoy collaborating with others? As a board member, you'll need to work with others, come to mutual decisions, work out disagreements, and get along with everyone. If you are a loner, you might want to check out pro bono volunteer work where you can help on a particular project using your skill set. Or you might enjoy some other volunteer gig that doesn't require so much cooperation. Are you comfortable with raising funds? As a board member, you'll be asked to contribute your own money and also ask others to donate. You may meet with donors to make a personal ask. You will most certainly be expected to provide contact information of prospective donors, especially those people likely to give quite a lot. You may help make thank you calls or write notes to donors. There will be no escape, so be sure you feel at ease with fundraising. If you feel good answering those questions, you may make an outstanding board member. One of the best guides to nonprofit board service is by Doreen Pendgracs, a veteran board member. Pendgracs wrote Before You Say Yes...A Guide to the Pleasures and Pitfalls of Volunteer Boards. Her ideas are as relevant as ever. Pendgracs says we should think about why we have been recruited for a board and then make sure that the reasons match what we can or want to provide. Their profession: There is a range of expertise and talent that most boards need. That is why you're likely to find a lawyer or two, an accountant, a medical professional, or a former teacher, depending on what kind of organization it is. Their contacts: An organization might look for someone from a particular place, from a specific group or political party. An organization may need directors who represent particular groups of stakeholders. Their bank account: Nonprofits need money. They are likely to want people on the board who can become donors and, just as important, know people who can become donors. Their age: The charity may be looking for young people who bring a fresh perspective or people with experience. Their reputation: A nonprofit may be attracted to someone who has a unique history or is known for a particular ability or achievement. People who have a high public profile in the community can be especially valuable. 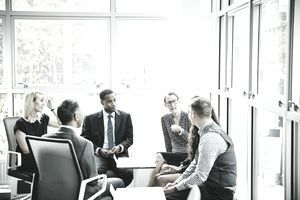 They know someone on the board: This shouldn't be the only reason one might be recruited for a board, but many new board members are colleagues, close friends, or neighbors to someone who already serves on the board. Try to figure out, or just ask, why the group is interested in you. Then make sure that you will be able and willing to fulfill those expectations. What Should You Know Before Saying Yes? How and where do the meetings take place? Are they local? Across the country, or virtual? How often does the board meet? How is business conducted between meetings? How much time will I be expected to devote to board business? Is there a cost associated with attending meetings? Are board members reimbursed for travel expenses? Is there an honorarium? Most volunteer board members serve at their own expense. However, they may be able to take a tax deduction for certain costs, such as travel. Will you be expected to donate a certain amount? How much fundraising will you have to do? Realize that fundraising is part of a board member's duties. You may be asked to help persuade people to donate and to donate yourself. Is there adequate Directors and Officers (D&O) insurance to protect board members in case of a lawsuit or other disaster? A properly incorporated charity does enjoy some protection under its state's incorporation laws, but additional insurance should be in place as well. Does the organization have a good training program for new board members? Will there be an orientation? Is there a board manual? Will you receive additional training for your fundraising duties? How formal or informal is the board? Check that against your preferences and needs. What Are Your Rights as a Board Member? When you serve on a board, you have legal obligations. Good insurance such as general liability and directors and officer insurance. What should you do if you feel uncomfortable or feel that your rights have been violated? "If you find yourself on a board that is clearly not a good fit, resign -- or at the very least, do not renew your term. It's better than banging your head against the wall." Who is on the current board and how did they get there? Find out, tactfully, about the skills and experience of current board members. You'll get a good idea of just how reliable the board is. For instance, is there someone who has an accounting background or experience in reading financial statements? Is there a legal expert? Who is the CEO or Executive Director? Find out as much as you can about the person leading the organization. Has she been there long? Has there been frequent turnover in this position? If so, that could indicate that there are internal problems, such as a cantankerous board or deep-seated financial problems. How many board members are needed to take action? The organization's bylaws specify how many board members there are, and how many members must be present to do business and vote. What committees does the board have? Common committees include an audit, programming, fundraising, public relations, and nominating committee. Make sure that you get assigned to the committee that suits your skills. If you're a financial professional, you likely won't want to serve on the PR committee. Can you see the books and records of the nonprofit? A nonprofit's tax return is called the 990, and it has to be made available to the public. Even small nonprofits should have some accounting system for your inspection. If an organization balks at your request to see financial information, consider that to be a red flag. How large is the overall budget? Look at how the organization uses its money. Although most revenue should go to programs, not administration, make sure the organization isn't starving for lack of infrastructure, equipment, and other tools to do its job well. Check out the salaries for top executives. Do they seem reasonable? What are the responsibilities of the directors? Is the board advisory only? Or is it a working board? Board members have legally defined duties such as determining the group's mission and purpose; selecting the executive director; overseeing strategic planning; and fundraising. Conflicts of interest on the part of board members can put the entire organization in peril. Make sure that you have none before you agree to serve. Are the payroll taxes of the organization up-to-date, or is it being sued? If a nonprofit fails to pay its taxes, the IRS can impose harsh penalties or even take away its tax-exempt status. Furthermore, board members could be sued for allowing such penalties to accumulate. Is the board being sued or has it ever been sued? Being sued is not a reason to run from a nonprofit, but you should certainly know about and understand any lawsuits. It can indicate a tendency for the board to operate recklessly. Board members are only protected from liability as long as their actions remain within legal boundaries. If this sounds like overkill just because you were asked to serve on your homeowner's association board or that of the tiny nonprofit across town, think again. Being a nonprofit board member is a serious commitment with consequences should things go wrong. Even if you only follow a few of these suggestions, you're likely to be ahead of most people who accept board positions.